To solve her rosacea issues Phoebe Song created Snow Fox Skincare — a line that uses a formula was created by scientists versed in traditional Chinese medicine as well as western technology. It’s also 100 percent natural, touts only essential oils and herbal extracts, plus the brand has already earned cult status. Oh, and PS: Kourtney Kardashian fan-girls over the Snow Fox Cooling Sheet Mask. 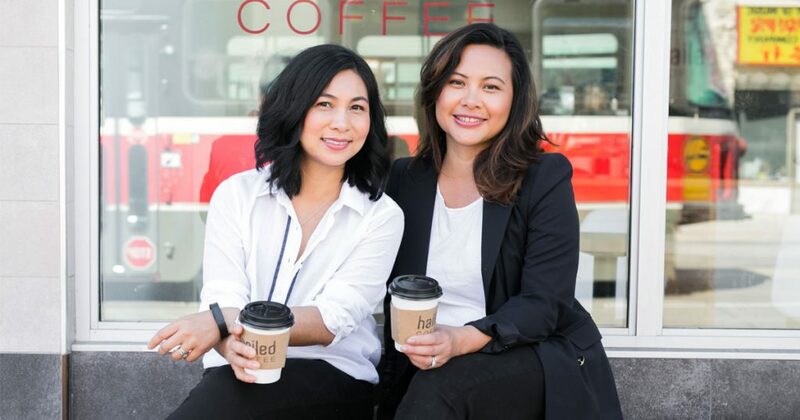 For mom-of-two, Karen Kim, it’s her second career as a entrepreneur and founder of Binu Binu, a natural skincare company inspired by Korean bathhouses, that has her finally at a pace where she can enjoy life and motherhood. Sonia Keuroghlian heads up Keu, an online resource that decodes all you need to know about the non-toxic beauty biz. Her nine years spent as a corporate lawyer informed the measures she took to begin her entrepreneurial journey and today she shares how she made her business ready for take-off. Lisa Mattam, the founder of Ayurvedic skincare line Sahajan, isn’t your usual beauty geek. She has cast broad strokes in big pharma, leadership training, strategic process and organizational development. Eventually Lisa’s daughter interrupted her steady groove as amanagement consultant and kick-started a new dream. Here’s how she lifted her one-year-old brand off the ground, step-by-step, and is making strides at home and abroad. When you meet Simone Otis (she’s prepped the faces of Rachel McAdams, Sarah Rafferty and Kendall Jenner) one of the first things you notice is that she has ah-mazing skin. She’s mastered the model-off-duty-makeup look (that’s pretty and minimal), thanks to her stylish intuition and her career cred (Simone’s handiwork has graced the pages of Vogue, Vanity Fair and ELLE Canada). We convinced her to tell us what’s in her personal beauty routine so we can get glowing just like her. Heather Reier’s bath, hair and body business, Cake Beauty, was well established once she started a family and she says she didn’t freak out aside from the usual new mom jitters. With both Hudson, 7, and Graeme, 4, she cut her mat leave short and went back to work while the boys were each only a few months old. She didn’t sweat the transition too much because she says her personal experience as a mom has to do with finding joy and success in every part of her life. Jennifer Brodeur, the brains behind the new Peoni skincare line, is not only a skincare guru but a career whisperer too. We asked her to tell us what work lessons she’s learned from Oprah and what she’s also learned about working with her business partner—and husband. Manicurist doesn’t seem enough to describe nail pro Gina Edwards. She’s buffed and polished Taylor Swift and Nicole Kidman and worked on set with high profile glossies like Elle and Harper’s Bazaar. After years of hard work, she’s enjoying her well-earned success and most importantly, she’s reached a point in her career where she can prioritize her life away from work. This time around we’re getting beauty truths from Carlene Higgins, a Toronto-based freelance style writer and editor. After 13 years jet-setting around the globe and producing glossy editorials for FLARE magazine as its Beauty and Fashion Director, this mom of two littles knows what it takes to keep up with ever-changing—and let’s admit, tiring—trends. Having worked with fashion magazines like Elle Canada, Glow, Fashion, Canadian Living and Marie Claire Indonesia, and entrusted to paint the tips of celebs such as Carly Rae Jepsen and Hilary Duff, Melissa Forrest has serious beauty cred. To the fashion set she’s known as part of an all-star team at Tips Nail Bar, but she’s also one cool mom to two daughters, age 20 and 18, and admits that motherhood continues to teach her so much more about herself.